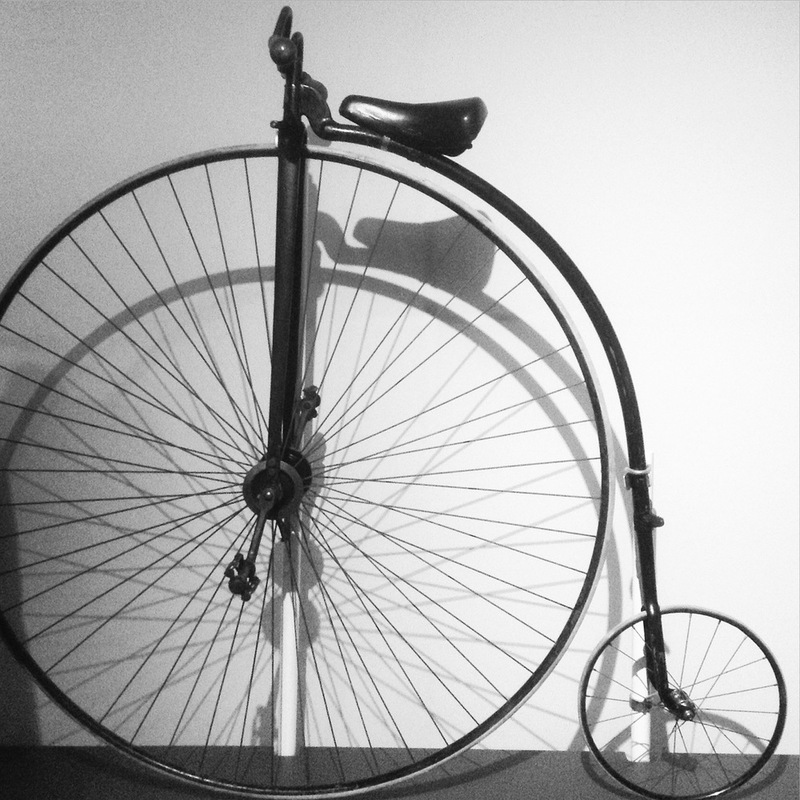 Freewheeling is a featured bicycle exhibition at the Queensland Museum, Brisbane. Running from 29 November 2014 - 8 June 2015. Organised through the NMA. Entry is free. The ever increasing popularity of cycling is becoming more prominent in contemporary society and urban living. We are re-awaking to our history the love of riding for joy, excitement, freedom and adventure. This being lost in the decades of motor transport dominance. Here we see the return to a self reliant, poetic, non-intrusive existence. Freewheeling: Cycling in Australia is a small but concise exhibition which complies stories of cycling which shaped our history in Australia. Showing the ups and downs of popularity through time and outlining our current love and resurgent in cycling as an everyday activity. Freewheeling is visual with the audience being able to enjoy old photographs, films, relic bikes and cycle equipment and apparel, newspaper extracts with quotes and compelling stories to flow the reader through the exhibition. Exhibition stories are grouped not in linear fashion but about belonging collectively and using the bicycle as a symbol for social change or personal freedom. Expect to explore topics about service on bikes, women on wheels, childhood cycling, sport racing, BMX culture, club cycling, tours, long distance rambling and pedal power. Progressive thinking and action comes to mind to celebrating a history of cycling in Australia. I learnt of a tail of adventure and empowerment about the “girl cyclists” Shirley Duncan (19) and Wendy Law (21) who in 1946 set off on their trusty Malvern Star’s on a three year odyssey of riding their bikes around Australia. From Melbourne to Queensland then on to Darwin, they then pedalled out to Adelaide and crossed the Nullarbor to the west. Being the first female cyclists to cross the Nullarbor plains. Facing many challenges and overcoming social expectations- ‘with Bags and Swags’. What inspiring women. An inspiring conversation starter and without a doubt. Freewheeling is also on show at: the Gold Museum, Ballarat (Oct 2015 to Jan 2016); Museum of the Riverina, Wagga (Feb to May 2016); Albury Library Museum (May to July 2016); Scienceworks, Melbourne (Aug 2016 to Feb 2017).